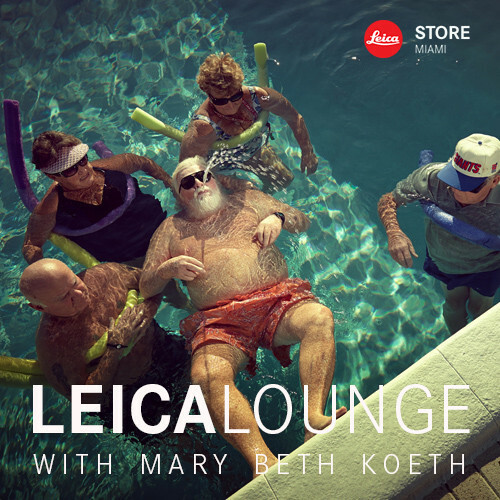 Join us in the Leica Lounge on Thursday, August 6, 2015 with local editorial and portrait photographer Mary Beth Koeth. Koeth, who graduated from Miami Ad School's photography program, has received acclaim for her quirky documentaries including: Miami Boyfriends, Unstoppable, and Off-Season Santas (pictured above). She will present her work and talk about how we can all use photography to tell meaningful stories. Mary Beth Koeth was born on June 2nd, 1982 in Ohio. She’s the youngest of five kids whose names all begin with M...she’s still not sure why her parents, Mike and Marlene, thought that was a good idea. Koeth went to an all-girls college prep where she spent the majority of her time in the darkroom sniffing hazardous chemicals and forgetting to shave her legs. She spent three and a half years at Texas Tech University and a semester in Florence and graduated with a Design Communication degree. Armed with visions of power suits and briefcases, Mary Beth moved to Kansas City to work as a designer for Hallmark Cards. She later moved overseas to further her greeting card design skills with Hallmark UK. Koeth spent her weekends traveling Europe with a camera in hand and soon realized her goal of going back to school to pursue photography seemed fathomable. She spent two and a half months in Norway assisting photographer, Nancy Bundt and observing tall, blond men. She's also interned for Miami photographer, Sid Hoeltzell and Joe Pugliese in Los Angeles. To view more of Mary Beth's work, visit her website.